The Chicago Blackhawks are busy locking up some pending free agents, and have moved on to Jan Rutta. Today the team announced that Rutta has signed a one-year contract extension that will take him through the 2018-19 season. Rutta was scheduled to become an unrestricted free agent in July, but will be around for at least one more season. The deal carries a cap hit of $2.25MM, though the breakdown of salary to signing bonus has not yet been reported. Rutta, 27, was signed out of the Czech professional league last summer after an impressive performance at the World Championships. Though the Czechs wouldn’t win a medal, Rutta and several teammates were the talk of the tournament and drew a ton of NHL interest. It’s paid off this season, as the defenseman has 19 points in 43 games with the Blackhawks and has taken on more responsibility as the season has progressed. Though he doesn’t engage physically as often as one might expect for a 6’3″ player, he still can hold his own in the defensive zone and get pucks up quickly to the Chicago forward group. He’s been one of the team’s key penalty killers when in the lineup, trailing only Gustav Forsling in average short-handed ice time. The Blackhawks recently re-signed Erik Gustafsson for two years at a $1.2MM AAV, meaning that they have basically all of their defensemen from this season under contract going forward. 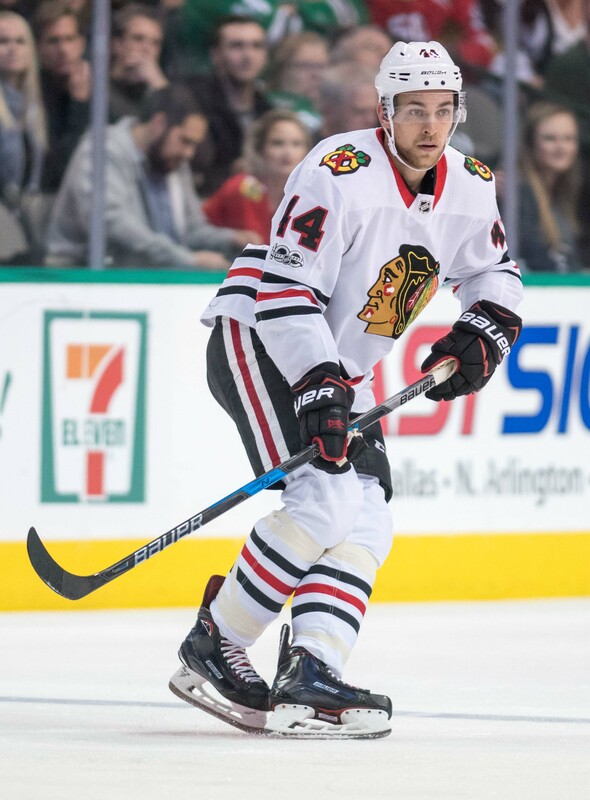 Though Cody Franson will expire at year’s end, everyone from Brent Seabrook to Forsling are now signed for at least one more season. While that may be disappointing to many Blackhawks fans, there is still lots of time left to shake things up to try and get a different result in 2018-19. Like every offseason, the Blackhawks will have some interesting decisions to make regarding cap space. After signing Rutta, the team has somewhere around $10MM to spend depending on where the cap ceiling lands for 2018-19. That’s not taking into account new contracts for Anthony Duclair, Vinnie Hinostroza, Tomas Jurco and John Hayden, which could eat away even further. That doesn’t leave a ton of room for improvement, meaning a player like Artem Anisimov could be on the block once his no-movement clause turns into a partial no-trade clause this summer. Elliotte Friedman of Sportsnet reported the financial details.